Double heavyweight vinyl edition in gatefold cover cut at 45rpm for maximum quality. Planets + Persona, the 2017 studio album from Richard Barbieri, is the most sonically expansive work to date from the former Japan and Porcupine Tree keyboard maestro. The album combines vintage analogue synthesisers with acoustic instrumentation, and incorporates Jazz elements, pitching Barbieri‘s unique sound designs against improvisations from a personally hand-picked group of guest musicians that includes Percy Jones, Luca Calabrese and Lisen Rylander Love. As on Stranger Inside, manipulated voices (mainly courtesy of Rylander Love‘s real time experiments) are present. Recorded across Europe in studios in London, Italy and Sweden, Barbieri‘s third album is without doubt his most ambitious solo release to date. 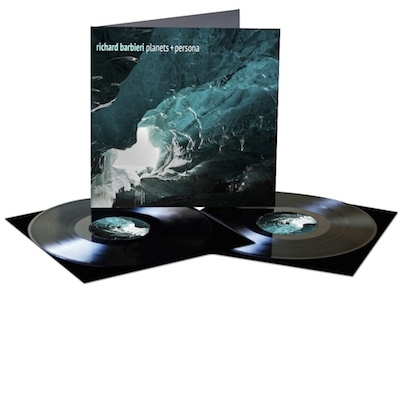 Highlighting the album‘s central theme of duality, the artwork on the 16 page booklet features photographic scenes of dramatic Icelandic landscapes. Mastered by Simon Heyworth.